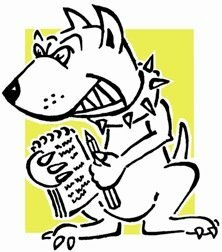 LOBBYDOG: Osborne in the holding role? The general election next year will share 2010 with the World Cup – getting into the spirit of things the Tories have put out their ‘dream team’ sticker package. It consists of a sticker book (in the style of those football sticker books you used to try and fill up when you were a kid) complete with stickers of the shadow cabinet which you can collect and swap with other conference delegates. The formation in the sticker book has Cameron up front, of course, and Osborne in the holding role in midfield – which I’m not sure he is robust enough to perform. I’ve almost got all the stickers, but unfortunately I have two Justine Greenings – the shadow minister plays on the wing according to the book. The stickers show the Tories’ heads super imposed on a male football player’s body, which creates a most disturbing spectacle in Greening’s case. Anyway does someone out there have a Geoffrey Clifton-Brown?